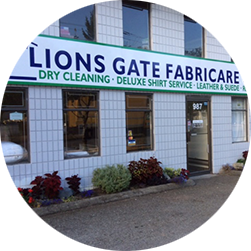 Lions Gate Fabricare offers quality dry cleaning services in North Vancouver BC. We are a family-owned business and offer our services in North Vancouver and rest of BC. We are located at two separate locations. You can contact us for dry cleaning services at Lions Gate Fabricare Cleaners (North Vancouver BC) or at the Airport Fabricare Cleaners at Vancouver International Airport in Richmond, BC. At Lions Gate Fabricare Cleaners we know the importance of always looking your best and projecting a professional image. Whether it’s for your Personal Dry Cleaning, your Staff Uniforms, or your Guest Laundry, you can count on the premium services from Lions Gate Fabricare. We are proud to be an accredited member of the BBB for achieving and upholding the high business standards emphasized by the Better Business Bureau of the United States and Canada. As well, we are members of the B.C. 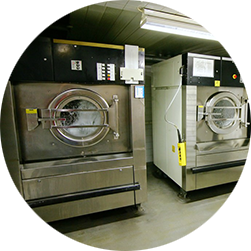 Fabricare Association for maintaining the finest standards of dry cleaning and fabric care.